Ignite your students’ enthusiasm for science with the new Smart Science Series for Key Stage 3. 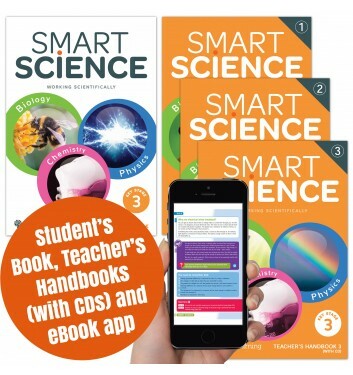 Deliver the complete 2014 science curriculum using the unique Smart Science Student’s Book and accompanying Teacher’s Handbooks. Smart Science is a simple, effective and affordable package that can be used flexibly alongside your scheme of work – try it now! 1. Does the series match to the new Key Stage 3? Smart Science gives full coverage of the new 2014 Science Programme of Study. It is also a good match to the ISEB Common Entrance syllabus. 2. Can the series be used to deliver a two-year Key Stage 3? Yes, definitely. All the content for the whole of Key Stage 3 is in one Student's Book, so there is no need to jump between three, year-specific books. The format lends itself to thematic or skills-based teaching. Approaches to both two-year and three-year Key Stage 3 are detailed in the Smart Science Teacher’s Handbooks. 3. Does Smart Learning publish other science resources? Smart Science is our first science series. Our award-winning resources are particularly popular in ICT and English at Key Stage 3. Smart Learning is an educational publishing company with a solid reputation for listening to teachers to develop innovative resources that are tried, tested and trusted by teachers and learners. We’re sorry but this product is not available to overseas customers. Our friendly customer services team are available to take orders by post, telephone, fax or email – which ever method suits you. For further details please see our How to order section. 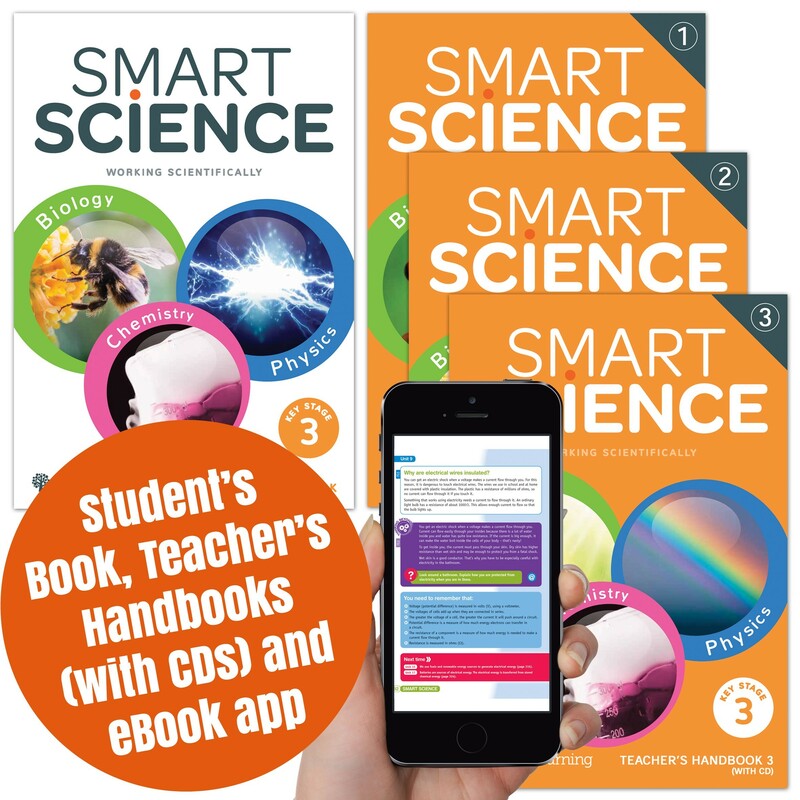 Single copies of the printed Smart Science Student's Book and Teacher's Handbooks can be ordered on approval by UK schools. Any items ordered on approval will be invoiced when the goods are dispatched. However, the approval invoice only needs to be paid if you decide to keep the goods. Approval Service terms and conditions. We hope you enjoy trialling these materials in your classroom, we’d love to hear any comments or feedback you have. The Smart Science Student’s Book is normally £15.99 per copy. Order 100+ copies and each copy will be reduced to only £9.99. All offers expire on 22 July 2016.